Upholstered in a Navy textured fabric, this Home POP Fabric Chair includes a coordinating ikat patterned lumbar pillow for comfort and style. 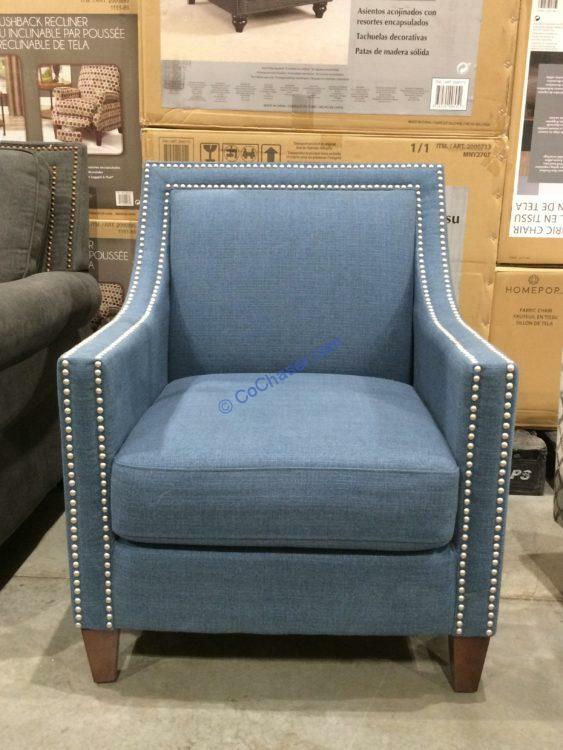 The tailored look of this armchair is enhanced by rows of Silver nailhead trim and Espresso finished tapered wood feet. It is a perfect addition anywhere in your home. The 100% Polyester fabric is durable and easy to clean.